At the last conservation commission of Edgartown meeting, previous records were brought up in a heated discussion. 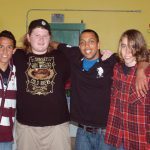 Four students who graduated last week were the last to celebrate in the alternative education program's facility next door to the high school. Plans include a new fuel option, better protection from storms, and clearing the channel of shifting sand. 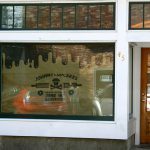 The store will open June 16 at 2 pm. Expecting a line, owner John Earle said those waiting at 11 am will be given a wristband with their place. 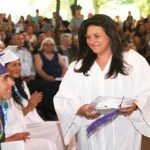 In a stream of purple and white graduation robes, seniors walked into the Tabernacle Sunday and off into the future. 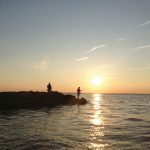 The annual Martha's Vineyard Striped Bass Catch and Release tournament was a success, if you measured it by fun and fine weather. 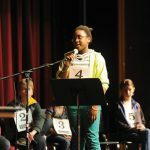 An 11-year-old Tisbury School sixth-grader represented Martha's Vineyard among 278 spellers in the competition. It's an oft told tale on Martha's Vineyard. A family business needs a family to grow and endure. Fathers, sons, and daughters do business together. The Tisbury selectmen moved a step closer to completion of the emergency services facility (ESF) project Tuesday. Oak Bluffs zoning board of appeals must decide whether White Brothers -- Lynch Corporation needs a permit for a new tower. 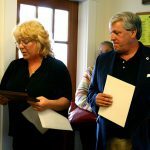 The Martha's Vineyard Chamber of Commerce unveiled renovations at an open house Tuesday evening. Island businessman Elio Silva has big plans for the State Road property in Tisbury just past Cronig's Market that he purchased last year formerly occupied by Island Home Furnishings. 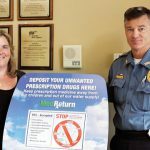 A special drug collection box is now available upstairs in the Tisbury Police station at 32 Water Street in Vineyard Haven. 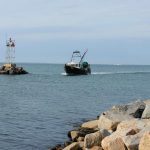 The Martha's Vineyard Transit Authority (VTA) was awarded a $733,559 grant this week by the Massachusetts Dept. of Transportation. 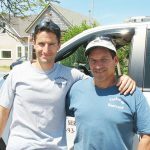 The print edition of the court report published June 7 incorrectly listed arraignment dates for Patrick Masse of West Tisbury and Nicholas Barbera of Tisbury. 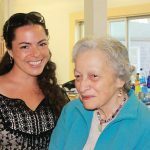 Adult and Community Education of Martha's Vineyard will offer a ServSafe Sanitation Training and certification class from 9 am to 1 pm on June 20 at the Martha's Vineyard Regional High School. 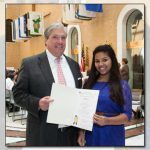 Marcelle Alves, an eighth-grader at the Oak Bluffs School, was honored at the statehouse for her written work. Four pills a day, $120 a month. The price went to $5,800 a month, and his insurance wouldn't cover the cost. 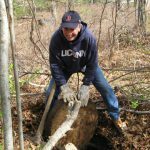 'Septic guru' Doug Cooper explains how septic systems work and how best to care for them, to avoid costly repairs or more costly replacement. 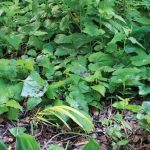 "A pleasing species but liable to become a rampant weed," is an understatement when it comes to campanula.